A great tool for any Venturing leader, from novice to seasoned Advisor. 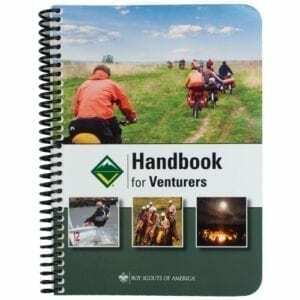 The handbook guides Venturing leaders, committee members, and Charter Organization Representatives toward a successful crew. 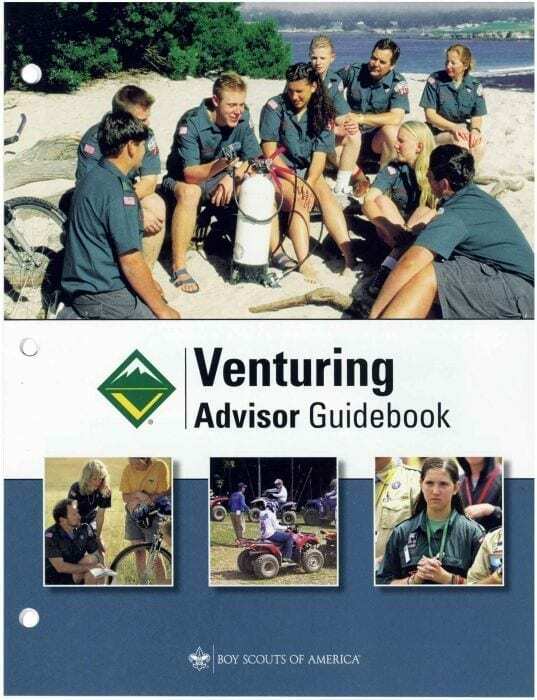 Includes information on Venturing Basics, Methods of Venturing and Areas of Program Emphasis, and Program Resources and Administration. It also answers questions such as: What are the responsibilities of adult Advisors and youth leaders? How will being an Advisor benefit me or others? How do I support youth as they plan a fun program that fulfills their goals and interests? Where can I get practical help for things that we need to do in our crew? Three-hole-punched for convenience.